Catrin and Arwel had an extremely hot day on Mayday weekend for their wedding at Peniel Chapel and The Plough Inn, Rhosmaen. Even after ten years of weddings (I know, I can’t believe it!!!) we occasionally still get a “first” at a wedding. In this case it’s a handbell duet. Yep. Here are some of our favourite images from a lovely day. We stopped at the gorgeous Aberglasney Gardens with the bridal party and families for a few group photos. After a relaxed stroll around the grounds with Catrin and Arwel for some portraits, it was on to the Plough Inn. The girls rather took the limelight during the speeches! It started with two of them doing a skit dressed as old women, which ended with a tune played on four handbells. I have no idea what their speech contained as the Welsh was far too rapid for me, but it had all 130 guests practically on the floor with laughter. Then all the bridesmaids did a joint speech finishing in a harmonised song of their own composition! I did feel a bit sorry for the Best Men having to follow all that! 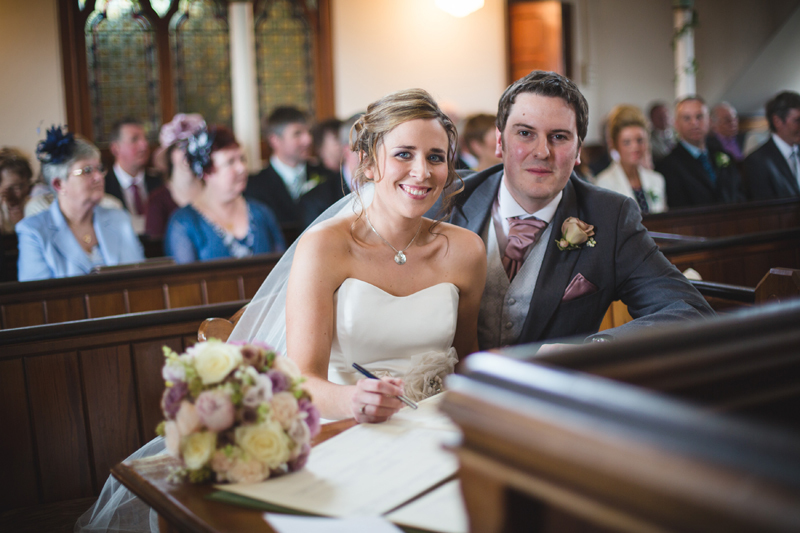 All the photos from the day can be seen and ordered on our Wedding Photography web site.